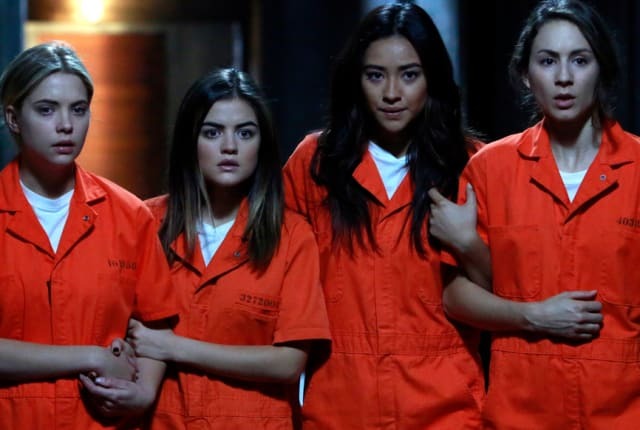 Watch Pretty Little Liars Season 5 Episode 25 online via TV Fanatic with over 7 options to watch the Pretty Little Liars S5E25 full episode. Affiliates with free and paid streaming include Amazon, iTunes, Vudu, Netflix, YouTube Purchase, Google Play, and Verizon On Demand. The Liars find themselves in a life like dollhouse and they are presented with several shocks before finding out who their captor is on Pretty Little Liars.